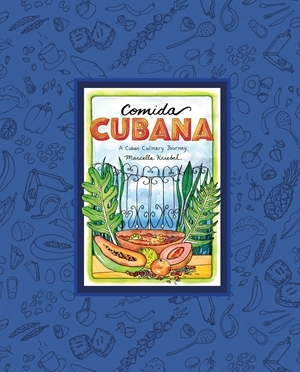 Comida Cubana: A Cuban Culinary Journey, written by Marcella Kriebel, features a wonderful collection of Cuban recipes from coast to coast paired with vivid watercolor illustrations of the landscapes, street scenes, and food. Highlights include Pastelitos (Puff Pastry Pies), Camarones Criollos (Shrimp Creole), Plátanos Fritos (Fried Sweet Plantains), Sándwich Cubano, Cuba Libre, and Bistec de Palomilla (Beef Cutlet with Onions). 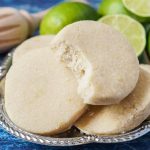 I will also be sharing Marcella’s recipe for Torticas de Morón, sugar cookies flavored with lime zest, following the review. Disclosure: I received a copy of this book from Burgess Lea Press in exchange for my honest review. All comments and opinions are my own. This post contains Amazon affiliate links. If you purchase something through the link, I may receive a small commission at no extra charge to you. Marcella Kriebel is a visual artist and author currently based in Washington, D.C. Her work has been featured in Design Sponge, The Washington Post, and National Public Radio. She is the creator of the collection Illustrated Feast (an open-edition series of watercolor prints) and she also wrote, illustrated, and self-published Mi Comida Latina based on her travels through Latin America. Chapters are divided according to course: Comida Cubana: A Culinary Journey; Platos Principales: Chicken, Pork, Beef & Goat; Arroz, Frijoles y Maiz (Rice, Beans & Corn); Del Mar (From the Sea); Viandas, Vegetales y Frutas (Starches, Vegetables & Fruits); En la Cafetería (In the Café); Postres (Desserts); and Cócteles (Cocktails). Marcella begins with an introduction to Cuban culture and food with a basic timeline of Cuba’s history from 1100-1450 to present day and how Cuban cuisine has evolved over the years. I especially enjoyed the cultural insights and notes scattered throughout the book including kitchen hacks, tips on cooking beans, the best way to cut a lime and pineapple, how to use a moka coffee pot, and more. There are no photographs, but the pages are filled with beautiful illustrations by Marcella herself. The inside front cover includes a hand-drawn map of Cuba with notable cities and the inside back cover has menu ideas ranging from Pascua (Easter) and Nochebuena (Christmas Eve) to Despedida de Soltera (Wedding Shower), Pícnic, and Fiesta de Graduación (Graduation Party). She even has a drawing of her kitchen setup while in Havana along with landscapes, people, visual glossaries of root vegetables and fruits, and other illustrations inspired from her travels. The names of the dishes are written in Spanish and English and the recipes are often paired with stories/background information. As a note, some of the text is written in cursive or may be small at times. Measurements are listed in US Customary and Metric. This book is a great pick for those interested in Cuban cuisine. Many of the recipes traditionally use a pressure cooker, but Marcella has included stovetop alternatives (along with a guide on using a pressure cooker). Some recipes may also include long marinating times that require a day or two of planning ahead. Others are incredibly quick and perfect for weeknights. Some more difficult to locate items include achiote, plantain, culantro, chile guaguao, fine cornmeal, guava paste, malanga, star anise, and yuca. Substitutions are provided when possible. 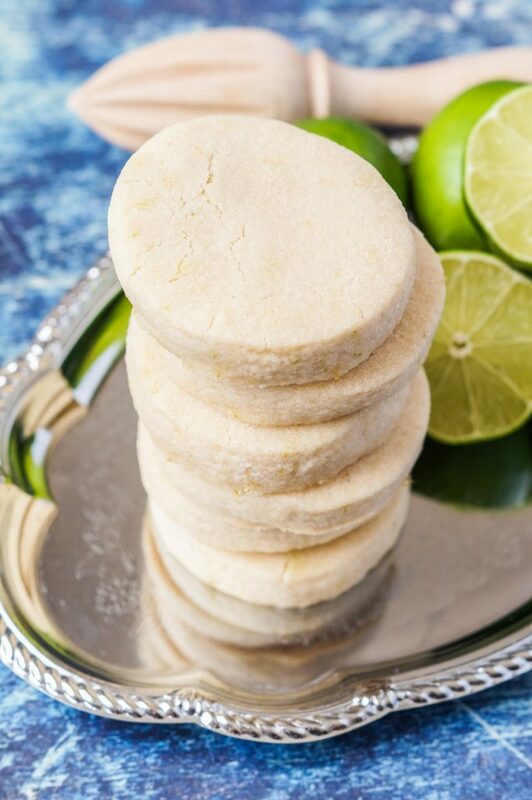 Torticas de Morón are sugar cookies seasoned simply with lime zest from the city of Morón in the Ciego de Ávila province in Central Cuba. These crumbly cookies have a shortbread-like texture with a combination of flour, sugar, shortening, and lime zest. They are cut out into 2 inch (5 cm) rounds and baked just until golden. Pair with Café Cubano or ice cream for an afternoon treat. These Torticas de Morón can be prepared in a thumbprint style with Grapefruit Marmalade (recipe in book) in the center of each. I have also seen them filled with guava. 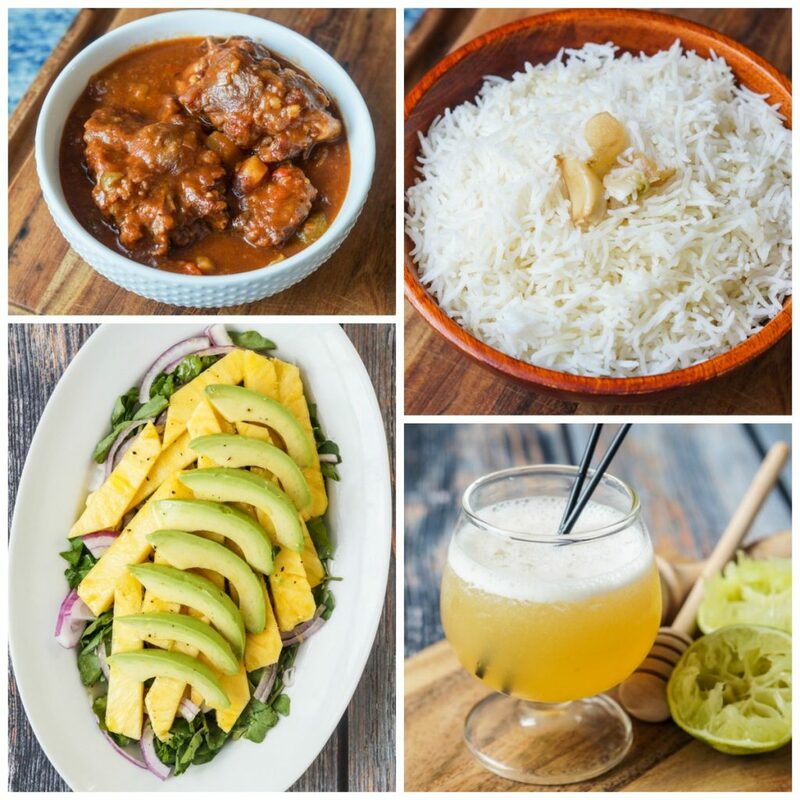 I also made Rabo Encendido (Stewed Oxtail), Arroz Blanco de Nitza Villapol, Ensalada de Piña y Aguacate (Pineapple and Avocado Salad), and Canchánchara (Honey Rum Cocktail). Rabo Encendido is a comforting oxtail stew with vegetables and a mild combination of spices. The mixture is simmered over 2 hours until the meat is completely tender. I served the stew with the Arroz Blanco. The recipe for Arroz Blanco (White Rice) is adapted from Nitza Villapol’s cookbook, Cocina al Minuto. This easy side, seasoned lightly with garlic and oil, pairs well with so many recipes in the book. Ensalada de Piña y Aguacate has some of my favorite ingredients in a light and refreshing salad. Slices of pineapple are tossed with watercress and onion, topped with avocado, and coated in an orange olive oil dressing. Cocktail lovers will have many to choose from in Comida Cubana. I made the Canchánchara, a Honey Rum Cocktail from the town of Trinidad. This cocktail comes together easily with a combination of lime juice, honey, and aguardiente (or favorite rum) on the rocks. Traditionally, the drink is served in terra-cotta cups. Preheat oven to 350˚F (177˚C). Beat together shortening and sugar until well blended. Slowly add flour to the mixture to make a smooth dough, then sprinkle in the lime zest and mix well. Roll the dough out onto a floured surface so that it is about 1/2 inch (13 mm) thick. The dough will be dry enough to crack; press together when this happens to make a smooth surface. 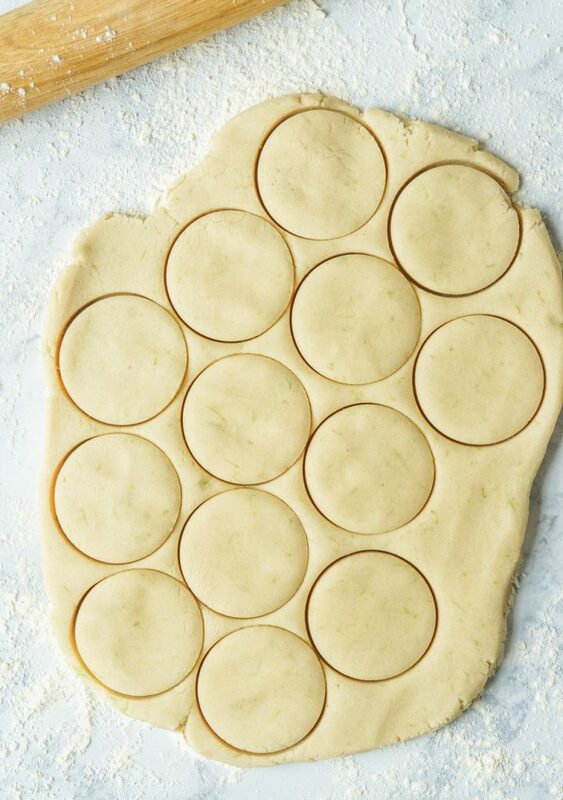 Cut out rounds with a 2 inch (5 cm) cookie cutter. Bake on a nonstick baking sheet for 20-25 minutes until golden in color. Transfer to a wire rack to cool. 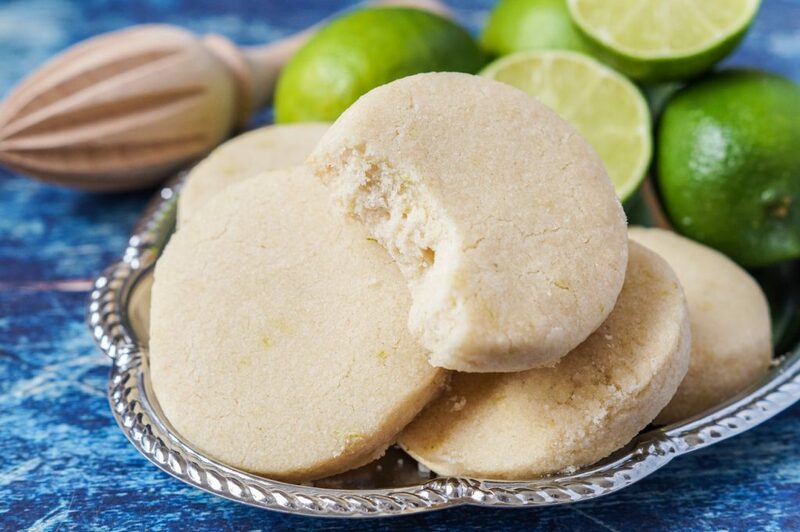 Ooh I love the sound of lime in cookies, perfect for a hot summer’s day! That book sounds wonderful – will look out for it. I like cookbooks with illustrations – I’ll have to check this out. I’m amazed that these cookies are made with only four ingredients too. I love lime flavor so I’m sure I’d like them! Lime is one of my favorite flavors! These cookies look so good, and I would love to check out the cocktails! Those lime cookies sound amazing! Lime is one of my favorite flavors!! They look like a shortbread, which is also my favorite! !